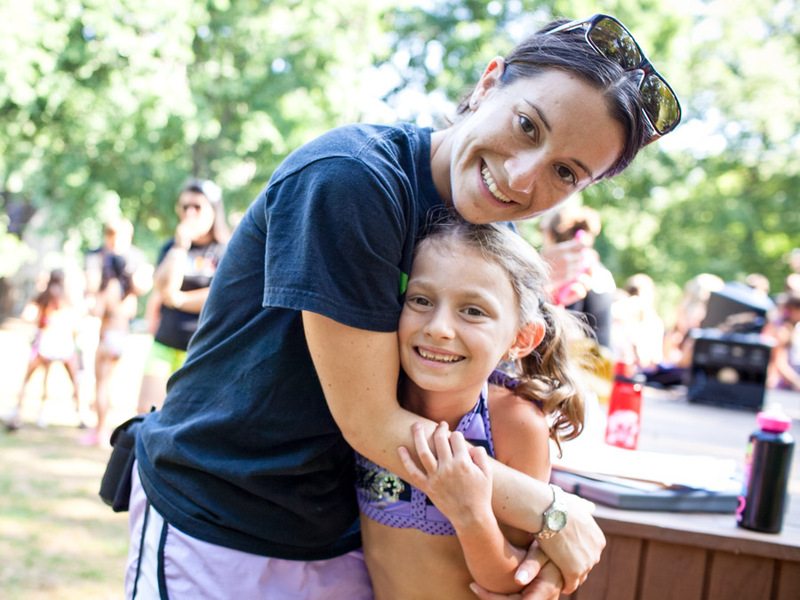 Just as it does for our campers, a day in the life of a DMDC staff member is full of opportunities—for discovering passions, for building skills, and for helping your campers thrive. Your day, as a group counselor, begins with a staff meeting at 8:45am, before your group arrives (van counselors will arrive with their van groups). Here, you’ll discuss group dynamics, goals, and any special events for the day. Division Leaders, Activity Specialists, and Waterfront Directors will arrive earlier, based on their morning meeting schedules. Campers arrive at Deer Mountain around 9am. 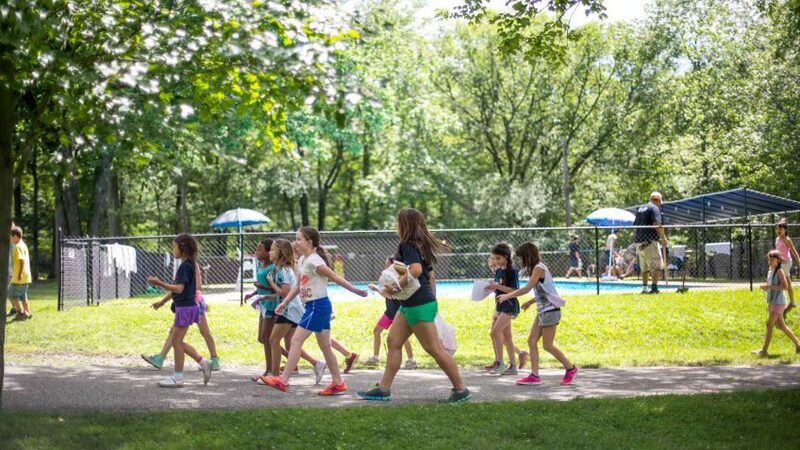 You’ll welcome your campers, assess how they seem each morning-are they themselves, a bit tired, particularly excited about an upcoming aspect of camp; do they need to go to the bunk? Then you’ll take care of a few details like attendance, initial lunch and snack orders, club selections. Finally, you’ll lead them to morning lineup, where we’ll kick off the day with a fun, wacky skit. You’ll often be involved—so prepare to get silly and potentially messy! From there, you’ll disperse according to your activity schedules. Group counselors will follow their groups to various activities throughout the day. 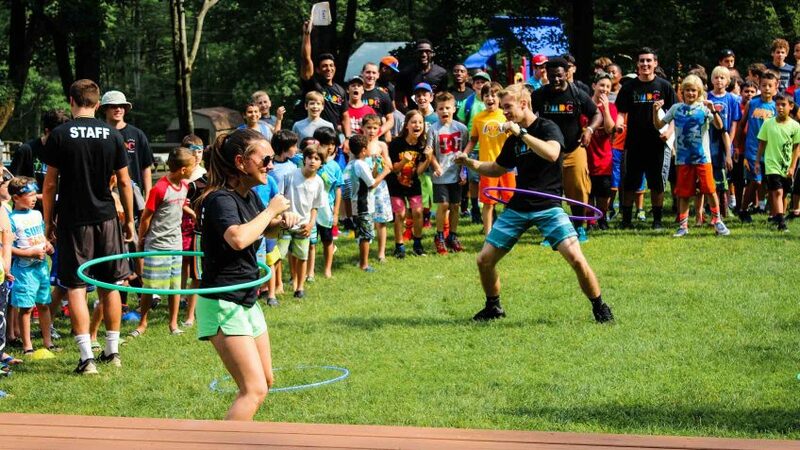 You’ll participate and encourage your campers, monitor and encourage social interactions, and maintain group camaraderie. Activity Specialists will run their own curriculums for different age groups, helping them build skills and discover passions in their area of expertise. Division Leaders check in with their groups at multiple points during the day to support campers and counselors, and provide feedback to parents. Lifeguards and Waterfront Directors spend their days at our six heated, age-specific pools. In the morning, you have the unique opportunity to teach children a lifelong skill: swimming. You’ll run instructional swim for various age groups, using the American Red Cross Learn to Swim program. After lunch, you’ll guard the pools and ensure safety at recreational swim. All staff receives a designated break for lunch during the day, which we provide on camp. Group counselors dine with their campers. Our activity schedule ends around 3:30pm. You’ll be free to leave after the last bus departs camp, around 4:15pm. Division Leaders and Office staff often stick around a bit later for post camp meetings and preparations for the following day. 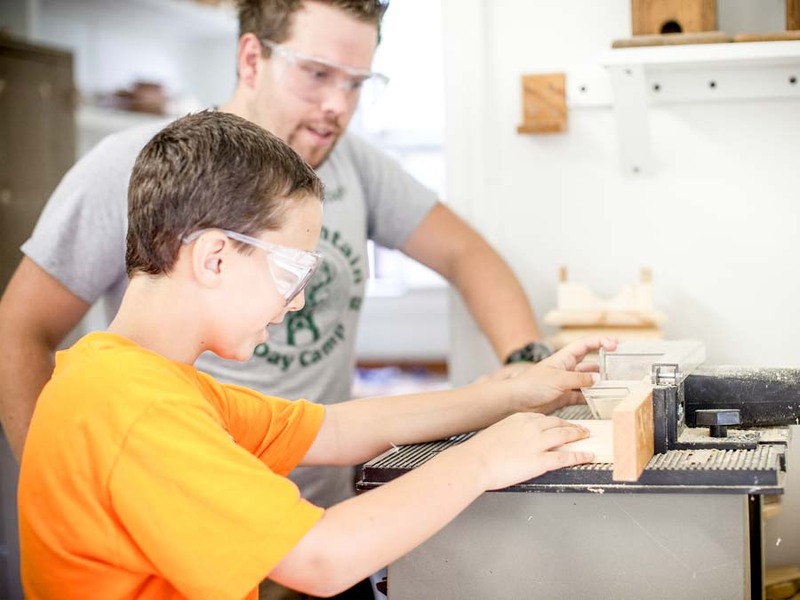 Explore your skills and strengths at Deer Mountain—and inspire children every day.